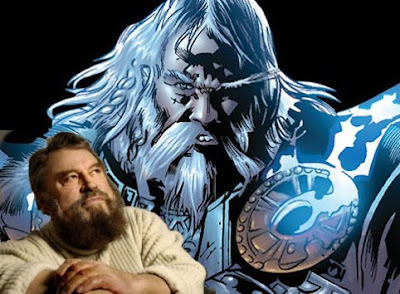 Yesterday came news via Bleeding Cool that aging british actor Brian Blessed has landed the role of Odin in Marvel's upcoming "Thor" film directed by Kenneth Branagh. Blessed is most known for his role in the 1980 cult hit Flash Gordon as Prince Vultan the leader of the hawk men, but the acclaimed thespian has been on the screen and stage since the early 1960s. This news comes as no surprise considering Blessed has worked with Branagh in the past and he should be a perfect fit for Odin ruler of Asgard and father to Thor and his half-brother Loki. "Thor" begins lensing early next year and is slated for a 2011 release.